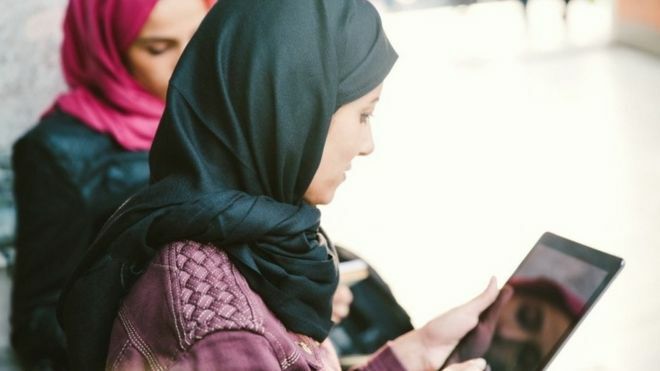 Turkish social media users joining the hugely viral #10YearChallenge have sparked a debate about the practice of wearing the Islamic headscarf. Turkish women who took off their headscarves adopted this trend to talk about the reasons behind their decision. The topic has long been a controversial subject. Wearing headscarves in public institutions was banned for years and students were not allowed to go to university with their headscarves. But over the past decade under President Recep Tayyip Erdogan the ban has gradually been lifted. Secularists see the headscarf as a symbol of politics and religious conservatism and accuse Mr Erdogan’s government of pushing a religious agenda. Pressure on some young women to wear headscarves has also come from pious Muslim parents and some parts of wider society. The #10YearChallenge has seen people sharing photos from 10 years ago and today but for some of the women in Turkey the decision to remove their headscarf was more recent, so they instead used the hashtag the #1yearchallenge. Among them were Nazan, who shared a photo of herself paragliding. “#1yearchallenge, there is no possible way to describe how beautiful it feels to live as you believe and as you want,” she tweeted. İnsanın inandığı şekilde yaşamak istediği şekilde yaşayabilmesinin tarifi yok sanırım. Many of those messages have been retweeted on Twitter by an online platform called You’ll Never Walk Alone. It encourages Turkish women who took off their headscarves or who are thinking about taking off their headscarves, to share their stories. The founder of the website told the BBC Turkish, on condition of remaining anonymous, that their aim was to show Turkish women that “they are not alone and that they are in solidarity with those women in their difficult journey”. “Nobody at 13-14 years old age should be forced to wear something they’ll have to put on for the rest of their lives,” the founder said to BBC Turkish. “Anybody can say anything they want. WE ARE LIBERATED and this has nothing to do with our family or our entourage,” Busranur wrote. “Our thoughts about ourselves and our thoughts about what we can do have been liberated. “I do smile all the time but life is not always bed of roses for me. As a graduate from Imam Hatip religious high school, it was me fighting for the right of wearing a headscarf (in universities) but I also fought to take off it for eight years,” another tweeted. There has been a counter response though, with some users saying it was up to the individual to decide whether to wear the headscarf or not. “Anybody can cover themselves or uncover as they like, this is nobody’s business,” wrote one. İsteyen istediği gibi açılır saçılır kapanır kimseyi ilgilendirmez de , bir kaç gündür kapanıp açılanların değişimleri dolaşıp duruyor. Bu biraz tesettürü meze yapmaya döndü sanki! Açılana saygı duyduğunuz gibi kapalı olanlara da saygı duyun hakaretvari yorum yapmayın insan olun! This user said “identifying freedom with the headscarf is wrong”. Basörtü takmamanin özgürlükle bagtastirilmasi nasil bir gericiliktir. Özgürlük kisinin baski altinda olmadan istegidi gibi hareket etmesidir. Bazen kapanabilmek de özgürlüktür.